You don’t have to live in an old house to want find out more about its past. ​It may be that a home that one of your ancestors lived in is of particular interest. Nor does it have to be a grand building. Even the most humble home has a history and we are going to help you find out who lived in it and how it evolved. This site aims to guide you through the process of finding out more about a house with suggestions and practical advice and links to useful sites, books and records.We also show you some examples of interesting houses, famous peoples homes or houses worth visiting. To start finding out more about the history of a house look for visual clues. Look at the building and consider who built it, when it was built and what design and materials are used. Look at other homes nearby and see if you can spot changes that have been made. 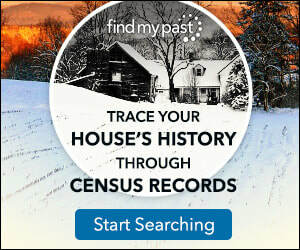 ​Next, look at the history of the home via documentary evidence - deeds, census, maps, directories, manorial records and directories. Find out how many people have lived there and what they did. Discover previous occupants interesting tales.